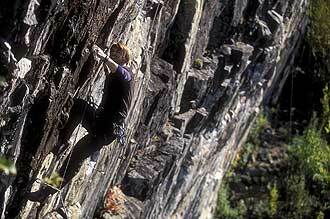 CreActive offer rock climbing in several good locations around swedish Lapland. We arrange transfer to the rock and give all the support you need to find your hot spot. For the beginner or the group we can offer good try on arrangements in safe conditions and repelling with instructor and all necessary equipment. 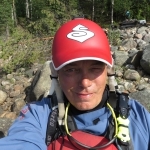 CreActive guides welcomes you in Luleå. Transfer from Luleå to Dödlarsberget close to Storforsen nature reserve. 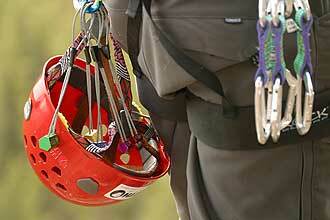 Well at the mountain we supply you with harnesses and helmets. Safety and climbing instructions before we head up on the mounatin. 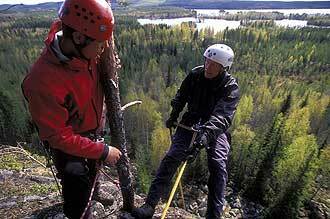 We practise basic Mountain climbing class 2-6 with top rope and try on repel at the Dödlarsberget cliff. 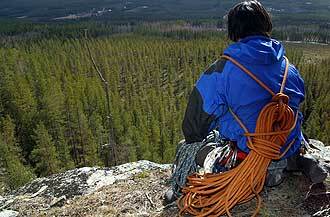 We adapt the experience to your level of skills climbing. After some hours of climing and fun on the mounatin we make a short visit at Storforsen. We serve lunch on the top of the mountain with a spectacular view over the river valley. Included: Guide, equipment, lunch and transfer.